It’s here! 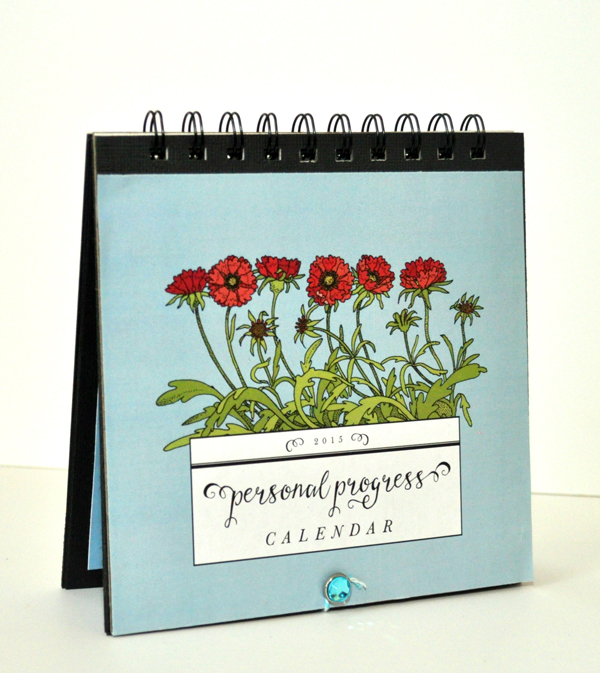 I’ve finished my 2015 Personal Progress Calendar and it’s better than ever! I’ve had so much great feedback about this project and I know it is inspiring Young Women throughout the Church to work on their Personal Progress. What an honor for me! 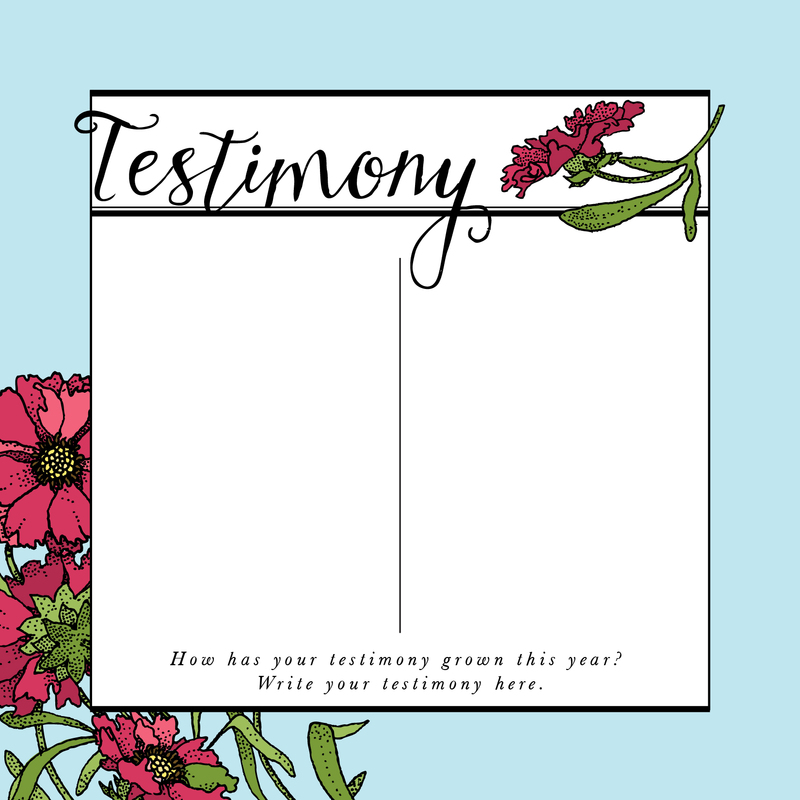 This year, I’ve added editable text boxes to the calendar months so you can add your ward activities, YW birthdays and more in addition to customizing the monthly goal pages and optional testimony, in review, scripture, journal, plans and blank pages. Yay! 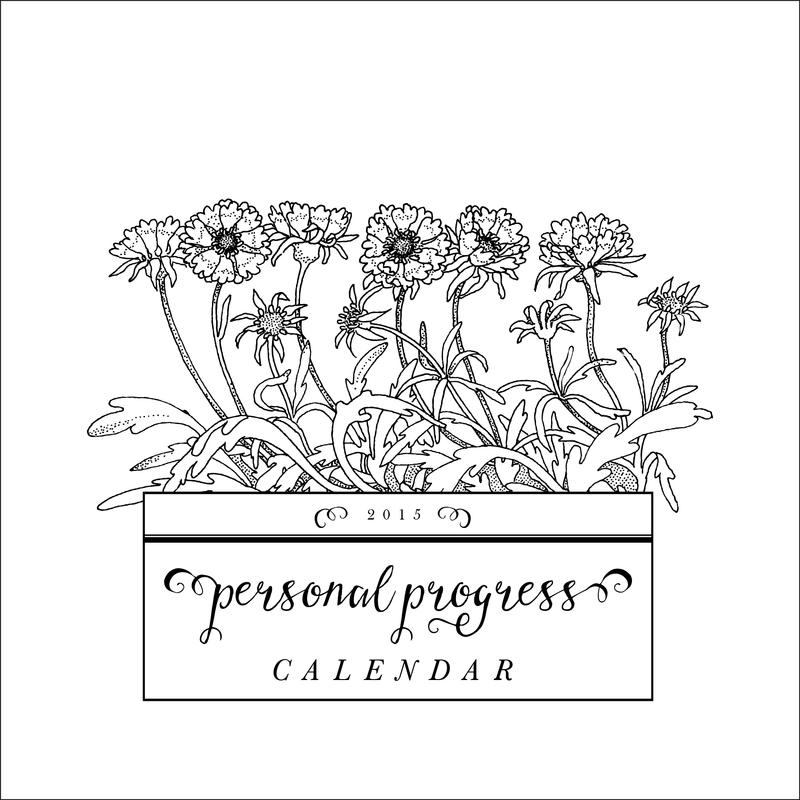 My 6×6-inch Personal Progress calendars make wonderful Christmas gifts or New Beginnings handouts for your girls. Our young women have enjoyed making them as part of a Personal Progress activity during the first part of January. How ever you use my calendars, I’m thrilled to be able to help and inspire your girls. My design for this year’s calendar was inspired by some antique invitations, hand-drawn flower images and two of my favorite typefaces, Baskerville and Stringfellows. 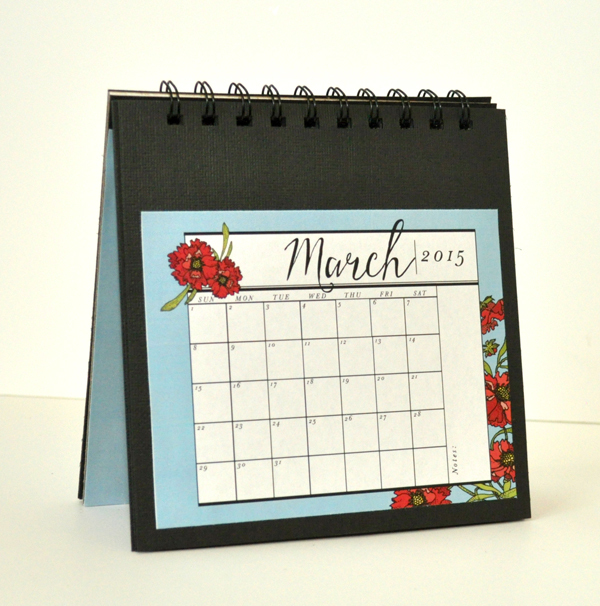 You can make these calendars free-standing (to put on a night stand) or hanging (for lockers). Instructions for both types are included in the download. I like to bind these calendars using my Zutter Bind-It-All, but you can use Cerlox, rings, ribbon or stitching for yours. Play around and see what works for you. I get my Owire and 6×6-inch chipboard covers in bulk from Amazon, but you can find great deals all over the web. Supply lists and full assembly instructions are included in the download. This calendar features monthly editable calendars and goal pages plus pages for 2015 plans, favorite scriptures, end of year evaluation, testimony and journaling. Plus, I’ve included a blank page for you to customize! It’s quick and easy to add your own goals, scriptures, quotes, calendar events and more to these calendars when you use the editable PDF files. Simply open the PDF file in Adobe Reader (get this free software here) and type your text into the text boxes. 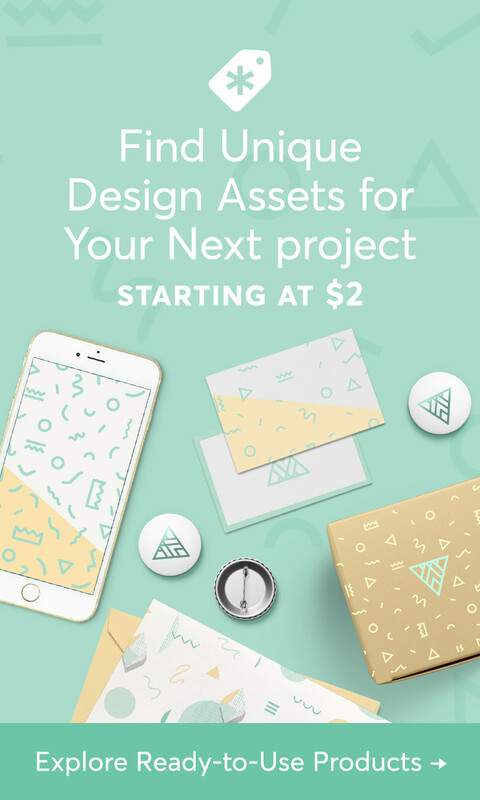 (When you use the editable PDF files, fonts, font color and spacing are all set for you. If you want to change them, you will need to open the JPEG files included in the download in your word-processing or photo-editing software and add your own text boxes.) 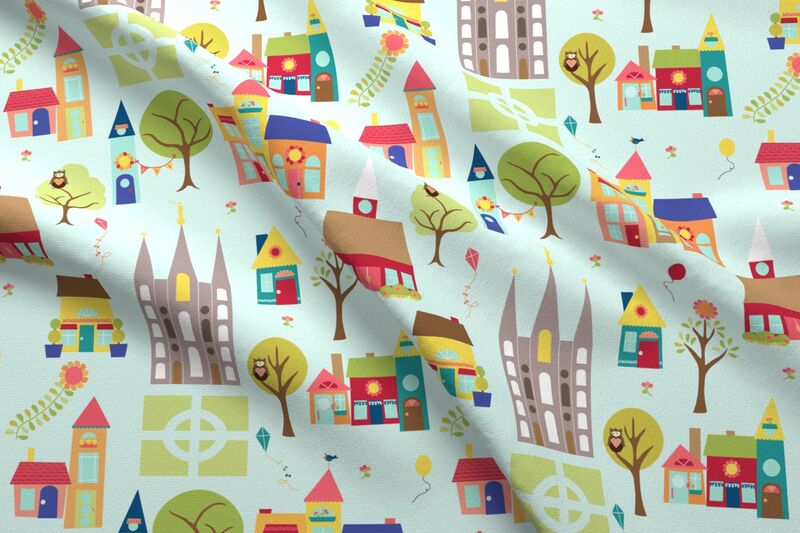 Save, print and assemble! 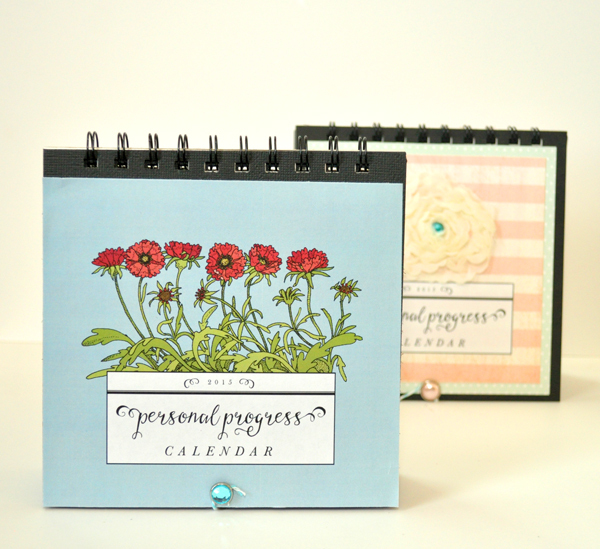 You can download my 2015 Personal Progress Calendar here. Remember, please do not share these electronic files in any way. You MAY print copies to share with others. All my files are for noncommercial personal or Church use only. Thanks again for your amazing support and encouragement! Enjoy! How do you open the printable pdf? Im trying everything and having no success. Hi! I love these calendars so much! So I sent them to the Staples and they came back 8 x 10 size…is this my fault or theirs? I didn’t specify but i thought that they would print 6×6 size on a normal piece of paper. Thanks so much…just wondering because they are going to be so big now! but i’ll make it work either way! Thanks! Thank you so much for sharing your talents with us and providing these for free. What a blessing you are to many! This is such a wonderful idea! Are you doing a 2016 calendar by any chance? Crossing my fingers that you are! This would be a perfect Christmas gift for the girls. Hi Debra! 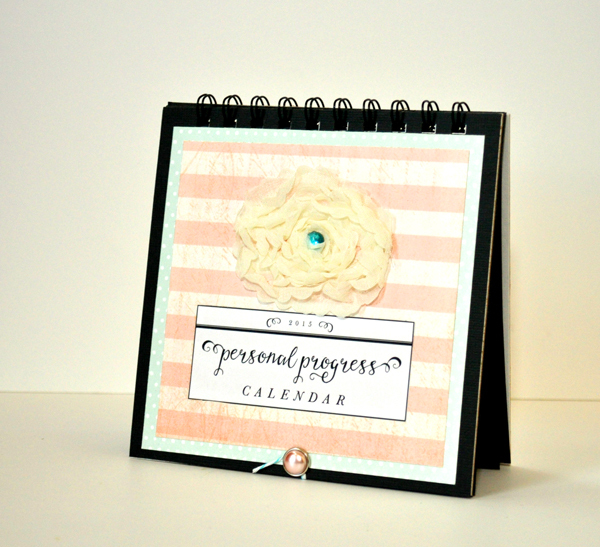 I am working on my 2016 Personal Progress calendar right now.